From famous sights in Seattle to undiscovered islands, bays, and parks, Washington State is home to many beautiful places to visit. It is usually best known for its biggest city, the city of Seattle. However, the Emerald State is also home to a huge number of scenic destinations. Whether you want to spend the day on islands off the coast, admire snow-capped mountains from a distance or to hike right up to waterfalls, Washington has it all. Your vacation can be packed with a diverse amount of interests from checking out the city life, visiting world-class attractions, touring national parks and more in the Pacific Northwest. Here's a list of the best places to visit in Washington State accompanied by the area's most luxurious of accommodations. A 55-mile long sliver of water called Lake Chelan sits nestled at the base of the North Cascades mountain range in Washington. Located three hours northeast from Seattle, this out-of-the-way region has been known to city-dwellers for decades as a summer getaway spot but has only recently made its national debut as a trek-worthy destination. And for what? Wine, of course. 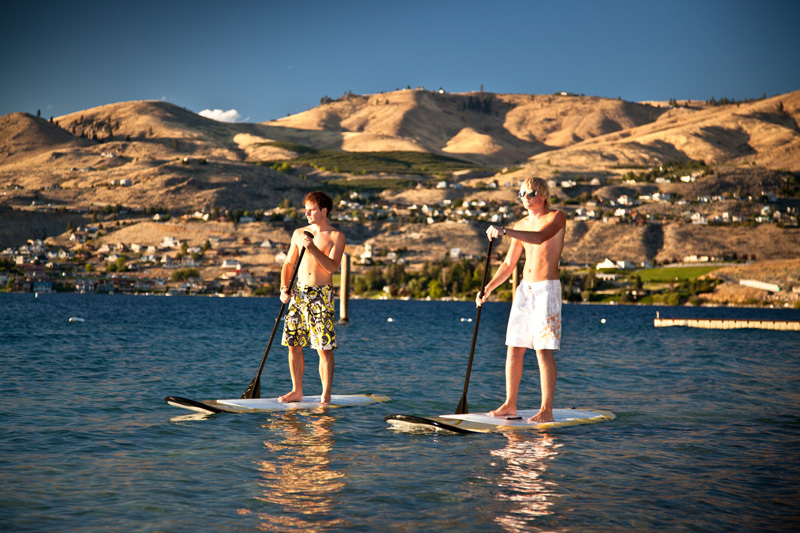 Lake Chelan has become a hub for scenery, outdoor recreation and wine tasting in the Pacific Northwest. There is more to do around Lake Chelan than drink wine—actually lots—but a visit to the vineyards makes for a good beginning to any trip. Visiting vineyards is a major draw to the region, and you can spend a day sipping and sightseeing at places like Vin du Lac Winery, Karma Vineyards or Mellisoni Vineyards. For a closer look at the incredible natural terrain, ride on a seaplane that takes off and lands in the lake itself, or try water-skiing during the summer months. Hiking possibilities are abundant, and on Historic Main Street you can dine on farm-to-table cuisine from a range of independent eateries. For five years, Campbell's Resort on Lake Chelan has been voted the #1 Resort in the Northwest by Evening Magazine (2011, 2013, 2014, 2016 and 2018) and earned Trip Advisor's Certificate of Excellence. Featuring upscale accommodations, award-winning dining, a day spa, beautiful lakeside wedding venues and the best mid-size conference center in the region. The resort is perfectly situated on 1,200 feet of the best private beach in Chelan, with pedestrian access to Lake Chelan trails, parks, and small-town shopping district. Halfway between the towns of Snoqualmie and Fall City is Snoqualmie Falls, one of Washington’s most popular attractions. The rushing waters of this 270-foot waterfall make it a stunning and unforgettable place to visit and a top spot for photographers in the Pacific Northwest. At the foot of the falls, you will find a two-acre park and an observation deck. 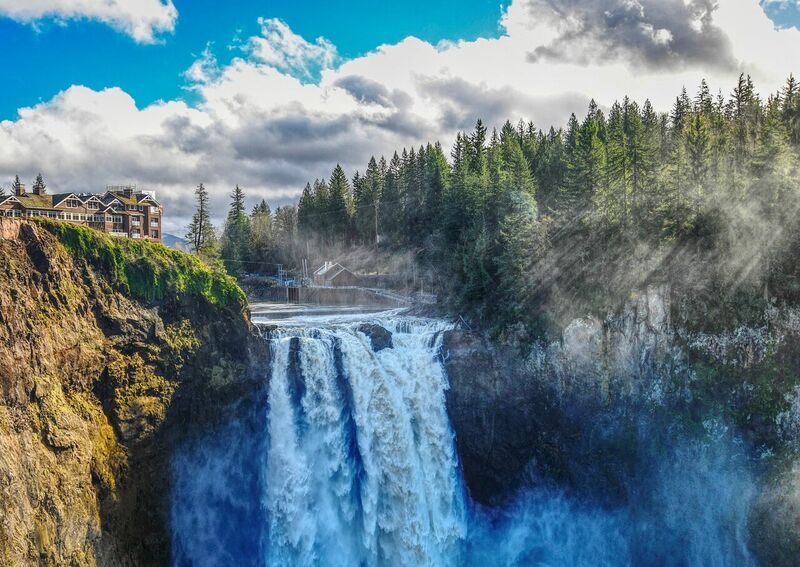 There are also short hiking trails around Snoqualmie Falls where visitors can admire enormous trees and lush green plant life within the spray of the waterfalls. Perched above the pounding drama of the 270-foot Snoqualmie Falls, just a quick day trip (or a weekend escape) from Seattle, the Salish is a favorite among romantics; many a marriage has begun here, and it’s a repeat winner on most every “best place to kiss” list. With the sound of the falls 24/7, it boasts of whirlpool tubs, feather beds, and fireplaces in each of its 84 newly renovated guest rooms, a well-stocked wine cellar, and a stunning spa, it's no wonder this luxury resort placed number 7 on Conde Nast Traveler's Top Resorts in Alaska and The Pacific Northwest for 2017. The Salish also has an apiary on the hillside by the lodge that produces honey for the restaurant and spa, where local artisanal cheeses are also served. 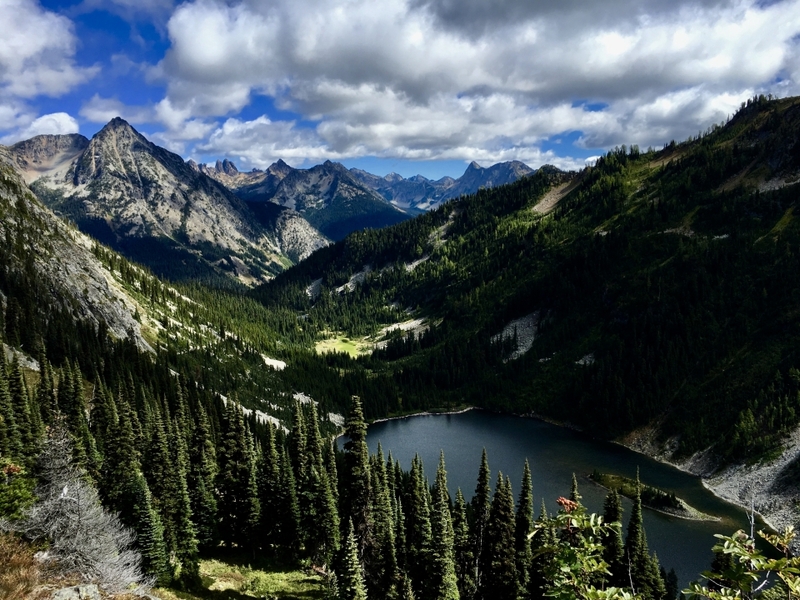 The North Cascades National Park is a nature lover's paradise. 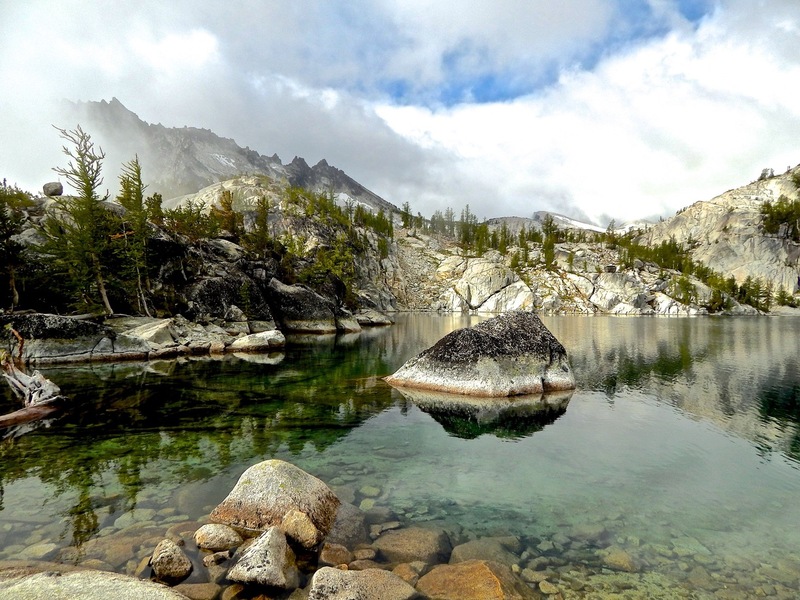 Once can see jagged peaks, alpine meadows, rainforest, and desert. The park is also home to a staggering amount of wildlife, including animals like grizzly bears, gray wolves, and lynx. More than half of all the glaciers found in the Continental United States are located within the park. One can hike or drive to Mount Baker, a volcano located within the North Cascades, to get an unparalleled view of the nearby Mt. Shuksan, which is perhaps the most photographed peak in all of North America. Within the national park, you’ll find opportunities for alpine climbing and backcountry camping, but you can also set off on shorter day hikes and mountain biking trails during the summer. Opened in 1968 and constructed using huge local boulders and mammoth timbers, Conde Nast's number 10 Best Hotel in the Pacific Northwest is also known for its luxurious accommodations and spa, haute cuisine and world-class wines. 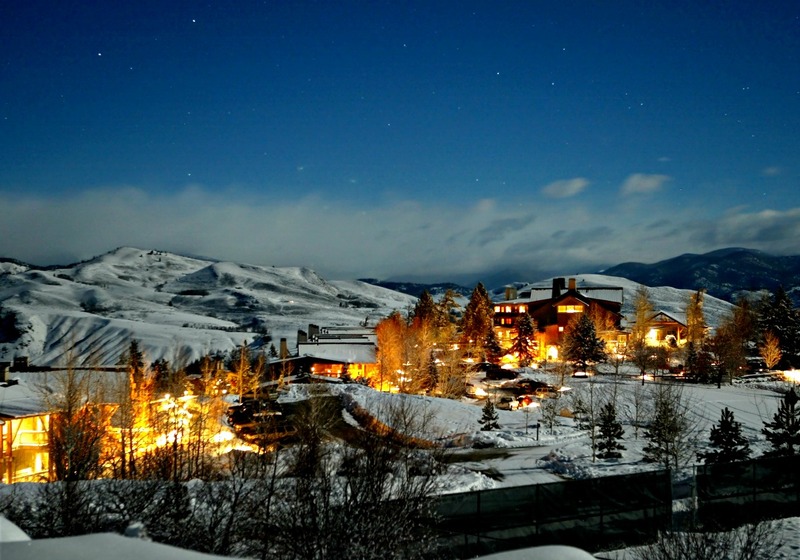 Sun Mountain Lodge is the perfect spot for those looking for a more adventurous stay in the Pacific Northwest. Snag any of the lodge’s 96 posh guestrooms and you’ll get your very own view of the sun setting behind the North Cascades from your room high above the Methow Valley. The hotel offers ski instruction, sleigh rides, horseback riding, and fly fishing; in the summer, biking becomes a popular activity, thanks to hundreds of miles of scenic track. After a full day of activity, their fabulous array of spa treatments and massage therapy are available to further pamper guests. The 2.2 million acre Wenatchee National Forest extends about 135 miles along the east side of the Cascade Mountains and most noted for its wide range of recreation opportunities. 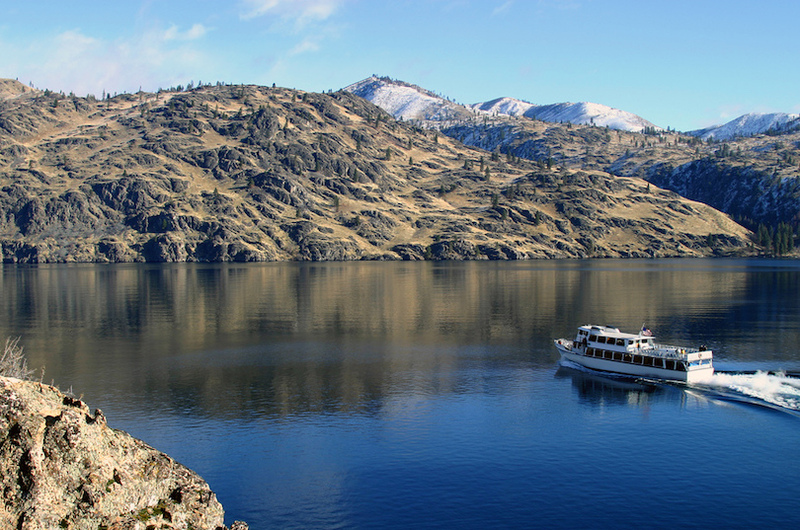 It stretches from upper Lake Chelan on the north to the Yakima Indian Reservation on the south. Wenatchee Forest campgrounds meet a variety of camping needs with more than 100 campgrounds and picnic sites. In addition to camping, the Wenatchee Forest offers many other recreation opportunities. There are approximately 5,000 miles of forest roads that provide access to campgrounds, trailheads, scenic vistas, woodcutting and berry picking areas, hunting areas, rockhounding areas, lakes, and streams. In the winter, snow-covered roads are used for cross-country skiing, snowshoeing, and snowmobiling. Just a 90-minute drive east of Seattle lies this treasure trove of amenities for lodge lovers who like more than a touch of luxury with their landscape. Spanning 6,400 acres on the eastern slopes of the Cascades, this sprawling resort community is nearly half the size of Manhattan and features two restaurants, two bars, a swim and fitness center, a golf course, a skating rink, an outdoor amphitheater, shops, spa—even a winery. Book one of the 18 rooms in the intimate, elegant Inn at Suncadia, and cozy up in front of your own private stone fireplace. With more than 6,000 acres of forested mountain landscape, Suncadia’s wealth of year-round activities make for a perfect Pacific Northwest escape. 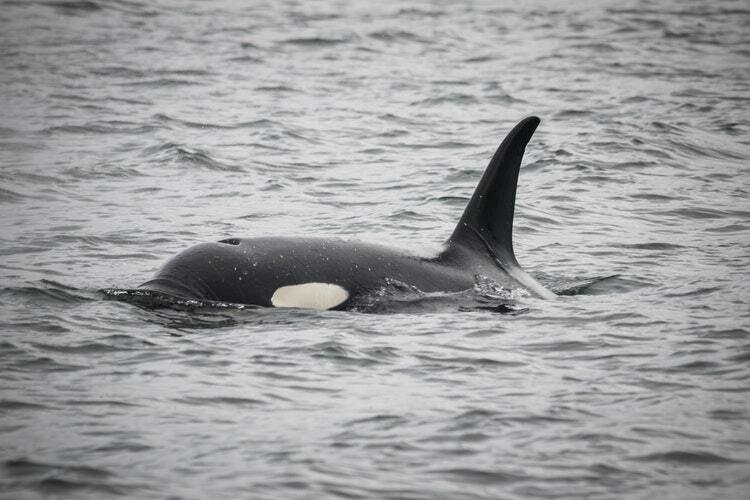 The San Juan Islands are an inviting retreat and an escape from the hustle and bustle of everyday life, offering an abundance of outdoor activities in a stunning landscape. There are 172 named islands and reefs in San Juan County, however, the four ferry-served Islands; San Juan Island (with the county seat Friday Harbor), Orcas Island, and Lopez Island are the most populous and host the vast majority of lodging and dining options and tourism activities. A laid-back and peaceful attitude is the archipelago's greatest hallmark in communities where cars are left unlocked and motorists offer salutary waves. Don't come for the Starbucks and casinos (there aren't any); come instead for the fishing, whale-watching, beachcombing, sailing, hiking, cycling, paddling, crabbing, clamming, philosophizing and memorable, psychedelic sunsets. The farm-to-table cuisine becomes even more sublime in the low-key atmosphere, especially when paired with Washington wines. Friday Harbor House perfectly complements the charm and serenity of the San Juan Islands with its modern, comfortable design. 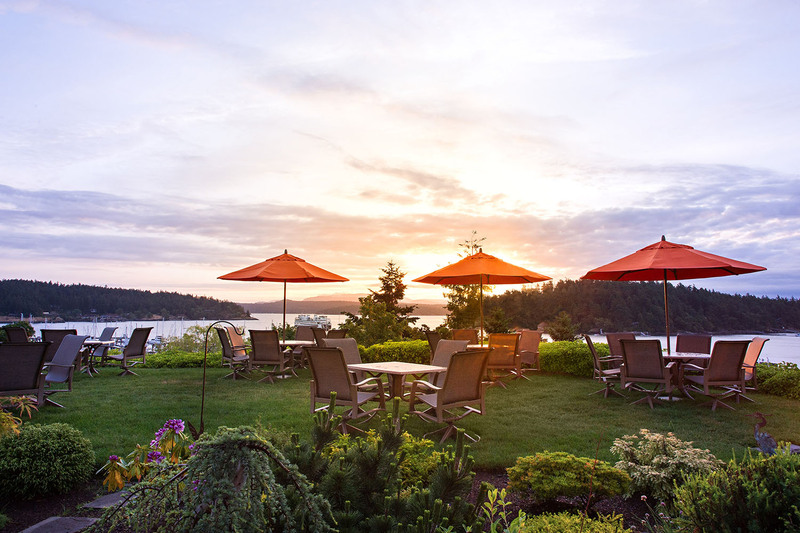 Perched on a bluff above the marina, this hotel has some of the most luxurious accommodations on San Juan Island. Each of Friday Harbor House's 23 guestrooms, most newly updated, feature a king bed, gas fireplace, oversized jetted tub-for-two, and various creature comforts such as luxurious in-room amenities including Chemex pour over carafes, pillow menus, and Puget Sound Dream Kits. Guests can look forward to stunning views, top-notch service, and authentic San Juan Island dining. Designated as both a World Heritage Site and an International Biosphere Reserve by the United Nations, the park serves as a living laboratory for scientists and students, as well as an incredible natural playground for visitors. With its incredible range of precipitation and elevation, diversity is the hallmark of Olympic National Park. 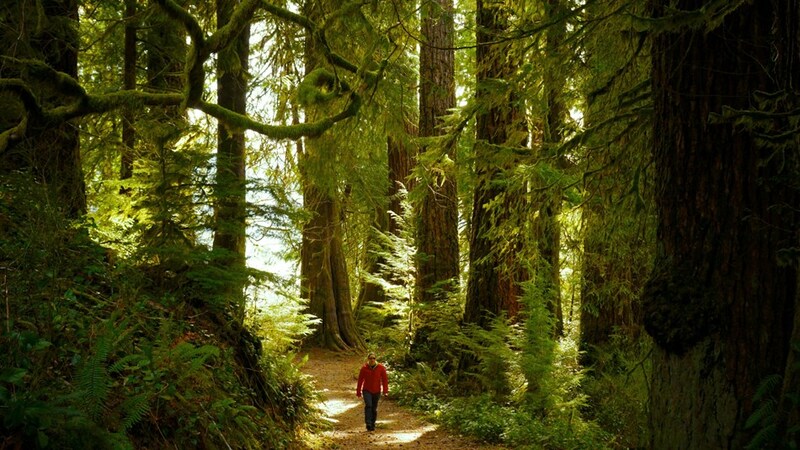 Encompassing nearly a million acres, the park protects a vast wilderness, thousands of years of human history, and several distinctly different ecosystems, including glacier-capped mountains, old-growth temperate rain forests, and over 70 miles of wild coastline. Nestled between Seattle and Portland, Alderbrook Resort & Spa rests on the shores of Hood Canal with sweeping views framed by the Olympic Mountains. 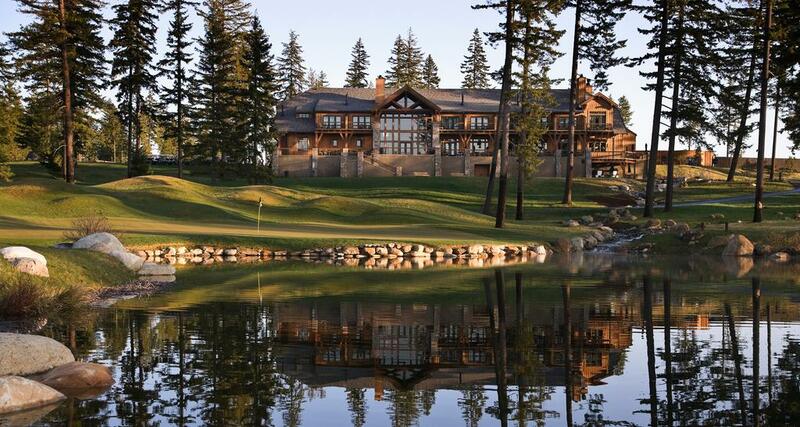 Originally established in 1913, the 77-room, neo-Craftsman resort emerged from a 2004 renovation with modern updates. Their luxury guestrooms are beautifully designed with thoughtfully appointed amenities. Their modern update included the expansive spa, which features a soothing therapy pool, Finnish sauna, and a dedicated relaxation room. Guests enjoy a sojourn in the herbal-infused steam room before hydrating dry skin with the hyperlocal body wrap using aloe, marine algae, and sea brine, and topped off the hot oil scalp massage; the spa also prides itself on its organic facial and Four Elements detoxification treatment, which includes an exfoliating sea salt scrub, mud bath and then warm oil cocoon. Continue on the path to R&R by reveling in the waterfront and mountain views that spill from every window: the one from your room’s window-side daybed, perfect for cat naps; those enjoyed from the glass-encased Jacuzzi hot tub; or at your dinner table at the lodge’s restaurant. Conveniently located 25 minutes northeast of downtown Seattle, Woodinville is home to nearly 100 Washington wineries and tasting rooms, featuring award-winning wines and first-in-class tasting rooms. Tours and sites throughout Woodinville offer a playful mix of modern and historic. One can start at the city's beginning with a trip to the Woodinville Heritage Museum, a classic homestead filled with displays and collections from its colorful past. Colors take a decidedly red and white turn with the many wine tour options available. There’s so much to enjoy that visitors may be tempted to rush. However, taking your time makes such a difference and opens up so many opportunities: a late evening dinner, the second day of tasting, a ride along the river—a whole new menu of experiences. Tucked away less than a half-hour drive from Seattle, is a gem that is part of the Conde Nast Traveler's Gold List. The classic Willows Lodge sprawls across 5 peaceful acres set in the heart of Woodinville wine country. Created from 100-year-old Douglas fir timbers—recycled from the Port of Portland—the two-story, wood-frame building features a huge stone fireplace in the lobby but stays on the sleek side of the rustic meter. Once there, be prepared to be wined and dined: Located on the estate is chef Bobby Moore’s inviting Barking Frog bistro; the Fireside Cellars abutting the wood-beamed lobby is long on Washington wine options; then, the pièce de résistance, the internationally renowned Herbfarm Restaurant, where a themed nine-course dinner awaits. The royal treatment extends to any of the 84 guest rooms, each with its own stone fireplace and deep soaking tubs for two. Tucked into a hidden courtyard, the newly renovated Spa at Willows Lodge is the place to polish your newfound inner Zen. A world-class landscape that extends more than 100 miles east of Portland, where the Columbia River carves a dramatic canyon between the states of Oregon and Washington; South of the Rattlesnake Hills, and right in the heart of the Columbia River Plateau, is the Columbia River Gorge. The Multnomah Falls cascade right into the gorge at one point, only adding to the beauty of this particular destination. The Gorge is unique in its natural and cultural history, as well as its designation as a National Scenic Area. One of the best ways to see the Columbia River Gorge from the Washington side is to drive along State Route 14, stopping off at the many scenic vantage points for photos. If you make the 45-minute drive from Portland to Skamania Lodge with the windows down, you might smell the lodge before you see it. The unmistakable scent of a wood-burning fireplace (in this case a massive, two-story number in the great room) greets you as soon as you approach the 254-room hotel. 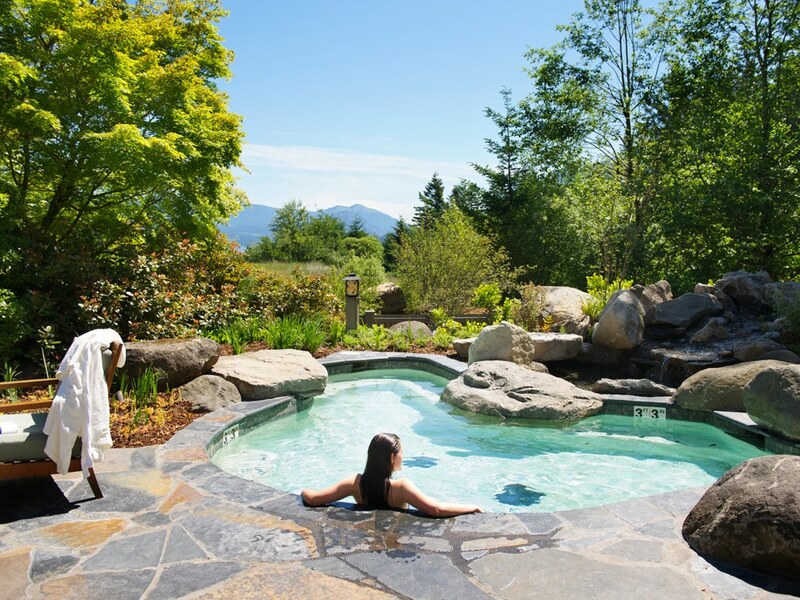 Skamania Lodge currently ranks number 1 in Conde Nast Traveler's Best Resorts in Alaska and The Pacific Northwest. Built in 1993, the lodge gives other nods to the county’s rich timber industry: generous wood detailing and massive timbers abound in the recently remodeled great room, bar, and dining areas. And the dense, trail-filled Gifford Pinchot National Forest awaits right outside. Or stretch your legs instead, on the lodge’s 18-hole golf course, before settling in front of the great room’s three-story window for a sunset show of fading pinks and oranges falling across the Gorge’s southern walls. The lodge also features a truly unique way to experience the Gorge with their "Away in the Woods" Tree Houses. 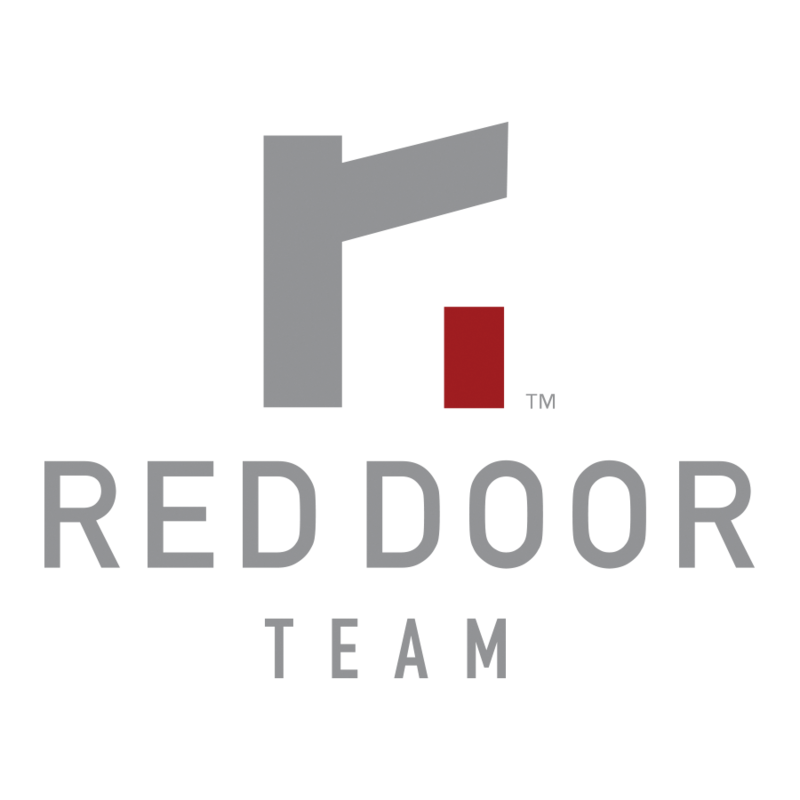 Featuring a total of four Tree House Accommodations, each designed to provide a truly immersive, outdoors experience. The tree houses are cozy, secluded, elevated rooms that sleep up to four guests and feature modern amenities.